With such scenario, Cotabato Light had been implementing an intermittent rotational interruption whenever the load requirement cannot be compensated with the total allocation from the National Grid Corporation of the Philippines (NGCP) and that of it's Power Plant engines. 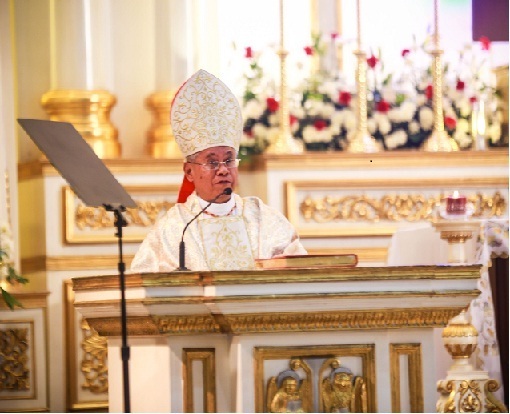 But such was not a hindrance to provide sufficient power supply during His Eminence Orlando B. Cardinal Quevedo's thanksgiving celebration last March 11. The company had it's standby diesel power plant in full operation to augment the power shortage and assure that the big celebration for the Cardinal is not hampered. Contingency plans & measures were in place ensuring power to areas where activities are held. With no less than the President of the Philippines gracing the occasion, with the presence of some cabinet members in attendance, other political figures, religious organization and people of all walks of life, made the celebration a momentous event, and with pride that Cotabato Light took part in the efficient power delivery when it is needed most.